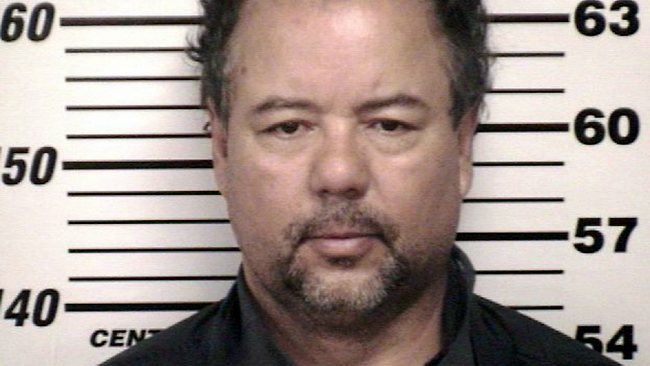 It’s interesting to me that the death penalty might be sought for Cleveland kidnapper Ariel Castro because he allegedly forced miscarriages on his captive victims, and that can be considered murder. If a woman chooses to terminate her own pregnancy, that is an abortion. If someone causes the pregnancy to be lost against the mother’s will, it’s murder. That idea is paradoxical. I don’t see how a fetus can be “murdered” if it doesn’t have a right to live in the first place. Because, for the fetus, what difference does it make? If someone assaulted your mother and caused the pregnancy to be lost, as a fetus, you were murdered? But if she made the decision, it was something else? If it’s about a mother’s right to choose, then the baby necessarily does not have a right to live. How could it? If it’s all about the mother’s “right to choose,” because it’s her body and she gets to make decisions about the fetus growing inside of her, and she gets to decide if the fetus lives or dies, I feel like forcing a miscarriage, if it is believed that the baby doesn’t have a right to be born, is more similar to grand theft than to murder. Something which was the mother’s was taken from her against her will. But I don’t see how a thing which doesn’t have rights is given rights just because it’s wanted but if it weren’t wanted, it wouldn’t have rights. The fact that any woman would have to be assaulted or harmed to the point of losing her pregnancy is tragic. No one denies that. But I think that rights are rights. And the right of one fetus should be the right of all fetuses. To be fair, many who are pro-choice are also against capital punishment and therefore wouldn’t support the death penalty in this case anyway. But I think it is difficult to view a forced miscarriage as a murder and to be pro-choice. If a woman had a forced miscarriage, she has had to go through a horrific tragedy. The life growing inside of her was taken from her against her will. But how is that murder? Because it was against her will? So the fetus that is willingly aborted by the mother has no right but simply because the mother wanted it, then the fetus suddenly have this right to life (where the forced terminated of the fetus then becomes murder)? There are many complicating factors. Certainly there are laws about abortions: how they can be performed, what stage in the pregnancy they can be performed at, and who can legally perform them. Forcing someone to have a miscarriage would undoubtedly break laws, I realize that. But my point is about the morality of the institution, in itself. To me, whether or not the mother wanted the baby, or whether or not someone caused a terminated pregnancy in a legal or illegal fashion isn’t what ultimately matters. Just because the fetus is wanted isn’t what gives it a right to life. It’s because it’s a human life that gives him or her a right to be born and to live. I agree that a punch to the stomach with the intention to cause an abortion is a horrible thing to do , but I would argue that sucking an unborn human child out of a womb with a high pressure vacuum pump then chopping it into pieces in a devise similar to a blender should be criminal at best, murderous at worst. Abortion is just a less aggressive term for infantcide. I think the state will lose the murder one case. The US Supreme court would end up with it if they get a conviction in Ohio. Also need to factor in the woman was impregnated against her will. I don’t know if a precedent exists for both a forced pregnancy and forced miscarriage. I think the state would like to kill this guy to set a standard but my bet is he’ll end up with several hundred years in prison; like the guy that held Jaycee Dugard captive for 18 years. The whole thing is as repellent as it is despicable to me; really well beyond the definition of either of those terms. If I supported the death penalty I’d support it in this case, with or without the miscarriages. If the man in Cleveland is found guilty of murder, then every government and corporate worker who poisons the world in such a way that their poison causes miscarriages should also be prosecuted for murder. Thye’ll argue that there is no causality, but we all know that that is a crock of feces. Time to lock up tens of millions of conservatives for murder.